The issue of naturalised players – either Malaysians with mixed parentage – or foreign players given citizenship – to don Malaysian colours in Malaysian football has been ongoing for close to two decades. While it has been going back and forth and more recently has become a reality with several players with mixed parentage (offspring of either Malaysian father or mother who has married a foreign) already have donned national colours. Now there is another effort to look for totally foreign football players to be given Malaysian citizenship to enable them to don national colours and even more alarming to bring young foreign players and offer them citizenship to become our future national players. 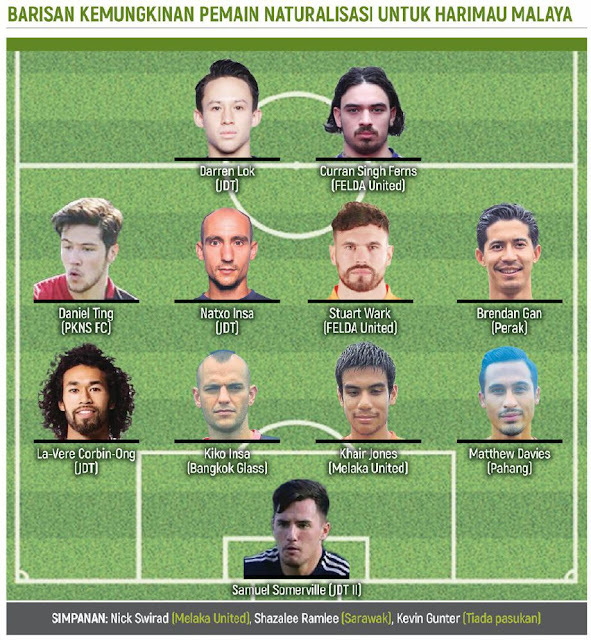 Bringing foreign players to Malaysia at a young age with hope they will change Malaysia football fortunes in the near future with their talent could well backfire because no sooner they have they arrived in Malaysia, they could well embrace to be more Malaysians than Malaysians themselves! And with FA of Malaysia President, Dato' Haji Hamidin Haji Mohd Amin’s statement today to say that he is happy that the Prime Minister of Malaysia, Tun Dr Mahathir Mohamad’s support to the national team to use naturalised players, it further adds to the strong possibility that naturalisation is what the national team is heading towards. On contrary, young Sports Minister, Syed Saddiq Syed Abdul Rahman, who had earlier stated it would be better to go with Malaysian players rather that naturalisation, now is saying maybe a balance with Malaysian players and naturalised players will be the way to go. Seriously, my personal stand on the matter for more than a decade when first talks of naturalisation players for the national players, is NO GO! I am even against foreign players in the Malaysian League. FA of Malaysia and the Sports Ministry should seriously consider working hard to get their development programme act right, there has to be fair selection process of players, improvement facilities at grassroots level, expanding the number of not only coaches but quality coaches at the base, correcting the ills at school’s level, upgrading school fields, increasing the number qualified football coaches in schools, increasing the number Physical Education periods in schools, State FAs giving importance to organising local leagues for clubs and placing talent scouts in schools, districts, villages and remote areas are are among the few agendas which should be top priority instead of spending millions and even billions of ringgit on foreign players. In any case, a majority of foreign players who grace Malaysian soil are mediocre or not even better than our local talent. Let us not be the dumping ground of half-baked foreign players who cannot a hold a candle to their top players in their respective countries. To say that Malaysia does not have talent is a mere excuse and plain lazy! The problem is we are not prepared to work hard with a long term programme. Success does not come overnight. It has to be over at least two Olympic cycles. Talks about naturalisation is a short gap measure, does not hold water at all. A move like that is only going to further disillusion local players as they will not have a chance to represent the nation and may just opt to play other sports. Already in the M-League more than 90 local players have been denied the opportunity to play in the competition because of these places taken up by foreigners. And is it not a surprise that national coaches each time cry that they do not have strikers and midfielders. Maybe it is about time to ban foreign players completely or at worst just allow a maximum of two foreign players – one of which must be an Asian – and not allow mid-season window to change players. Malaysia went Semi-Pro in 1989 and fully professional in 1994 – that’s almost three decades ago. If Malaysian football has not progressed – in fact declined at an alarming rate – then we need to look at ourselves in the mirror and determine what we have been doing wrong. Is it the influx of foreign players? Is it the unprofessionalism of teams and their management, is it the neglect of development by State FAs and clubs, is it the system of the League or attitude? We now even have the M-League managed by a professional entity - Malaysia Football League (MFL), formerly the Football Malaysia Limited Liability Partnership (FMLLP). And we still plagued by woes of poor management and the national team suffering the brunt of it. Whatever said, going foreign or naturalised players is NOT the way for Malaysian football. Saya terlebih dahulu ingin merakamkan jutaan terima kasih kepada Yang Amat Berhormat Perdana Menteri, Tun Dr. Mahathir Mohamad yang telah memberikan lampu hijau kepada pasukan Harimau Malaya menggunakan pemain berstatus naturalisasi, seperti dinyatakan kepada media, hari ini. Di sini saya sekali lagi ingin melahirkan rasa terharu kepada Tun Dr Mahathir yang mana beliau sentiasa mengambil berat serta memantau perkembangan pasukan bola sepak kebangsaan dan sumbangan daripada pihak kerajaan jelas akan memainkan peranan positif dalam memajukan bola sepak tempatan. Kami di Persatuan Bolasepak Malaysia (FAM) pada Mesyuarat Jawatankuasa Eksekutif FAM di Melaka pada Sabtu lalu sebenarnya telah bersetuju melantik Timbalan Presiden FAM, Datuk Wira Mohd Yusoff Mahadi untuk menjadi Pengerusi Jawatankuasa Khas untuk persediaan merealisasikan pengambilan pemain naturalisasi ini. Mengambil respon positif daripada kenyataan Tun Dr Mahathir hari ini, FAM akan terus mula menggerakkan jawatankuasa khas tersebut untuk bertindak memperhalusi lagi hal berkaitan pengambilan pemain bertaraf naturalisasi ini bagi langkah-langkah seterusnya. Bagaimanapun, FAM tetap akan terus berusaha memperkasakan program akar umbi seperti disarankan Menteri Belia dan Sukan, Syed Saddiq Syed Abdul Rahman sebelum ini sebagai program jangka masa panjang melahirkan pemain Harimau Malaya pada masa depan biarpun sedang berusaha ke arah naturalisasi pemain dalam masa terdekat ini. PETITTE Norfadzilah Najmi is a package of surprises. 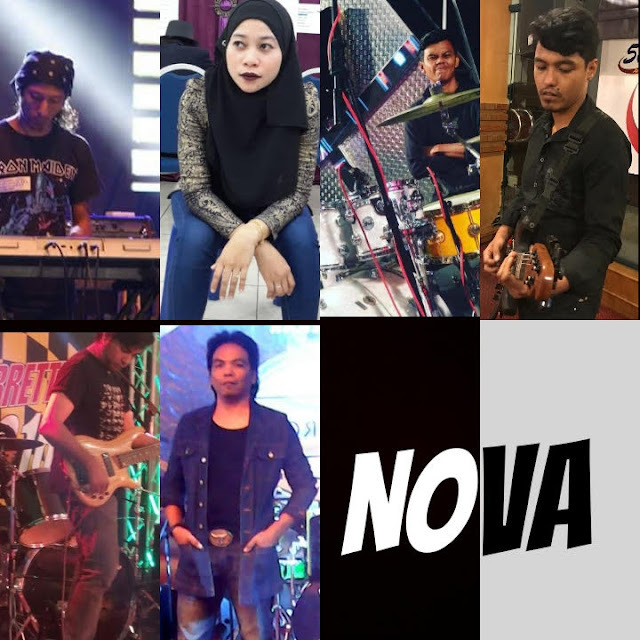 The 32-year Negri Sembilan born lass is singer in a band – Nova – an all Malay band, but truly a Malaysian band. Looks can indeed be deceiving. Watching Nova perform for the first time at the Hong Chin Football Club 50th anniversary dinner at the Oriental Pearl Restaurant at the Bukit Jalil Golf & Country Club last Saturday, I was indeed pleasantly surprised. 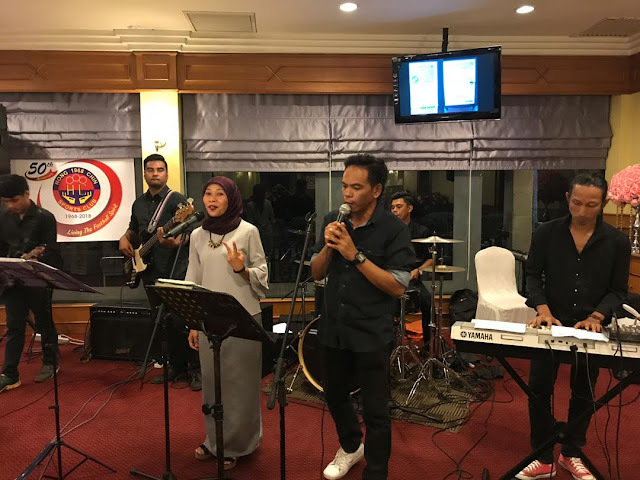 My first impression was that what was a ‘tudung’ singer doing at the dinner of ex-footballers and mostly above 50 years old, and how was she and her band going to keep these guys entertained? The band was tight and sang almost any song – oldies, latest and all-time favourites. But the biggest surprise for the night was when Fad, as she is known to her friends, started out belting Chinese numbers in Mandarin and Cantonese which had the guests, of which a majority were Chinese, on their feet clapping and dancing. Ex-internationals, Yip Chee Keong and John Engkatesu, who were so thrilled by the performance of Fad and her band, went up the stage to start dancing which saw many more join then. They even invited Fad to dance with them and she sportingly obliged them. 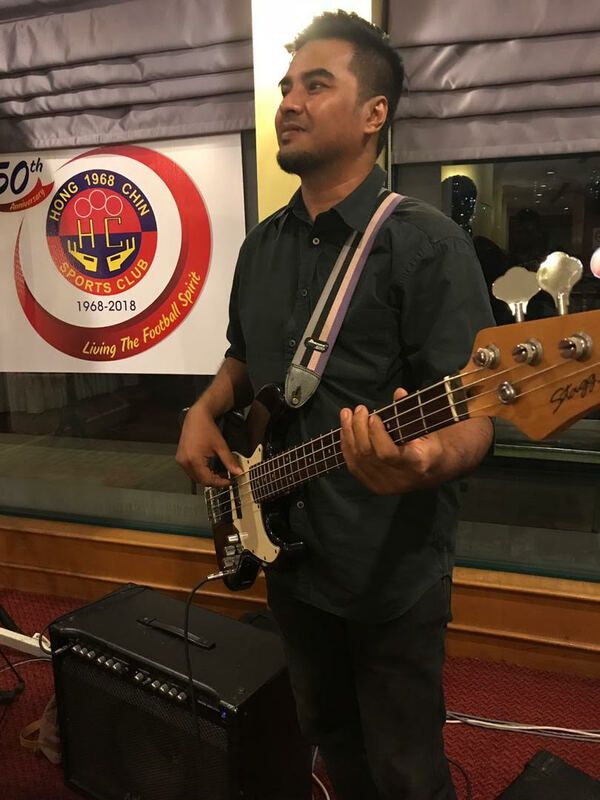 It was indeed a fun-filled night which kept guests entertained especially when Fad and her band showed further versatility when they started singing Tamil, Hindi and of course Malay songs. Above all, they could sing any request hurled at them. The focal point of the band was Fad who interacted well with the guests. By the end of the night, the band was the talking point. I had to find out more about Fad and when I spoke to her, she sprung more surprises. Fad was an army corporal and served for nine years after serving in the territorial army (wataniah). Why army and singing? Her father was also an army man and was a musician with the army band. Fad, who has an older sister and younger brother has been singing since she was in Standard Five. And her fluency in the Chinese language? She is Chinese educated since kindergarten till Form 3! “I grew up liking Chinese songs as I was an ardent fan Teresa Teng,” said Fad. 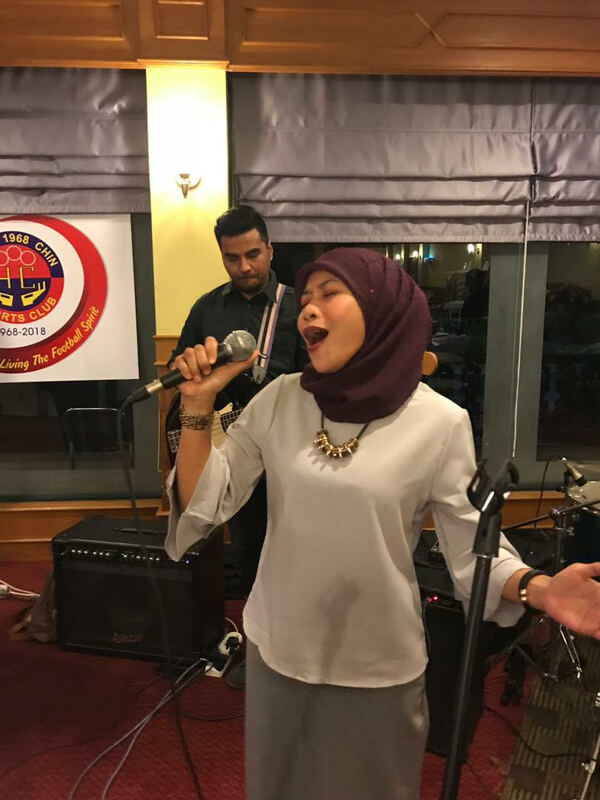 And her singing prowess was recognised by the army that she spent most of the time singing for army orchestra and Kor Renjer Diraja Malaysia. Fad who joined the Sport School of Tunku Ampuan Durah in Form Four was also a sportswoman competing in silat gayong and a hurdler at school. She has won in several Karoke competitions in Negri Sembilan and Kuala Lumpur besides competing in the Mentor programme in TV3 in 2012, Bintang RTM in 2010 and TV 2’s Rentak Juara (Battle of Bands) last year. 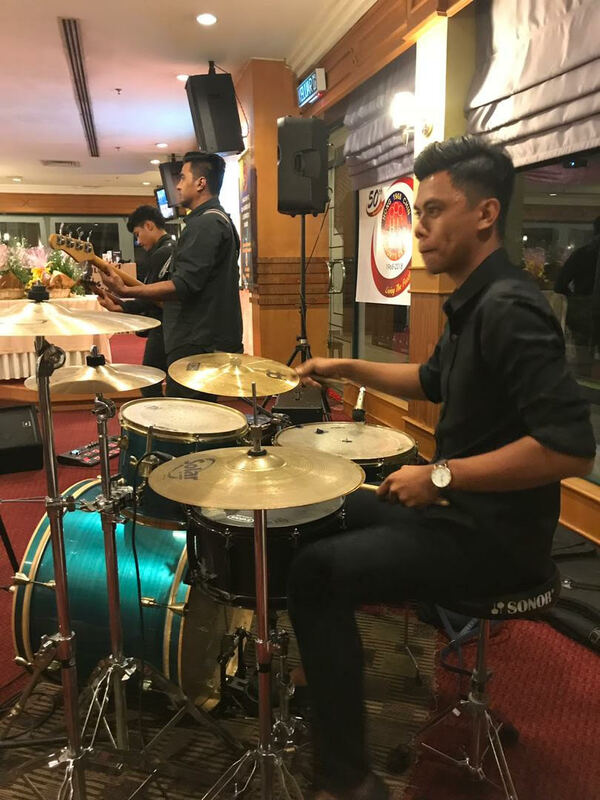 vocalist - Zailani Yaacob (Jai). Fad said that the band practices at least once week and perform at functions all over the country. “But singing is still part-time. I work with a maintenance company as a supervisor,” said Fad who has a three-year-old daughter. Fad also does solo stints using minus one tapes. However, Fad has no plans to become a fulltime artiste. 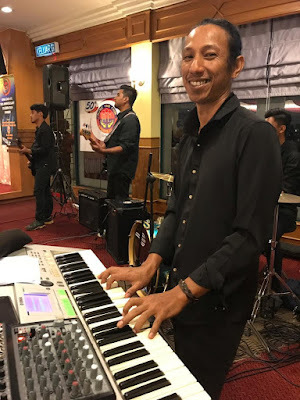 “I am happy having a day time job and singing at functions on a part time basis. I don’t think that I can just survive just singing, as the market is very competitive. 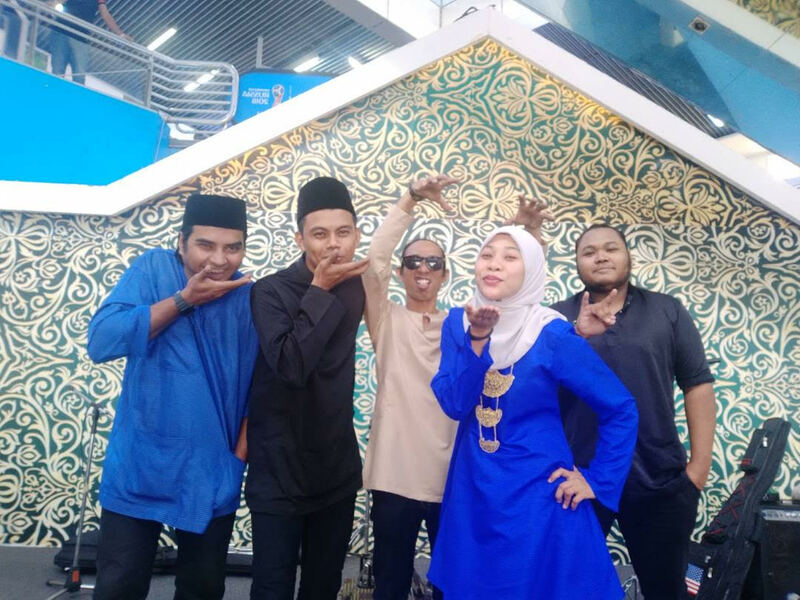 “But I hope that the uniqueness of the band for its versatility and being a truly Malaysian band we get more offers to play from various ethnic groups and not just confined to a select group,” said Fad. Indeed, this band in unique and versatile. It is a matter of time they become a household name among bands in the country. As for Fad, she is indeed going to be the main attraction in the band. The Transport Ministry needs to urgently look into the menace the motorcyclists are becoming on the road and to car drivers. 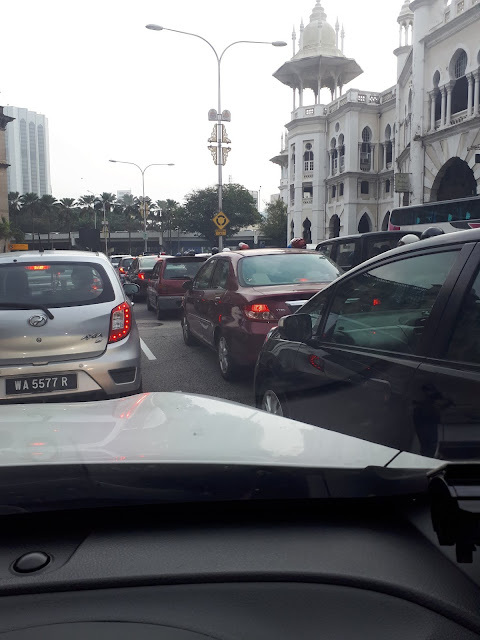 It has become hazardous for car owners to drive in the city or highways because motorcyclists have become the ‘king of road’. 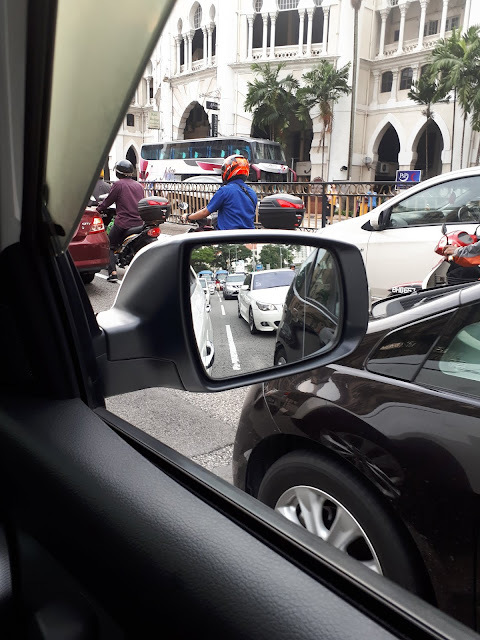 Try driving to office in the morning and by the time you reach your office and if your car side mirror has not been brushed by a motorcyclist who weaves past you or shown the finger and abused by foul language, consider it your lucky day. Gone are the days when motorcyclists rode their motorcycles on the far left side of the road. Today they can be seen weaving between cars, buses, lorries in every lane of the three or four lane road or highway. They will honk at the cars to make way for them to whiz past and if they cannot pass, besides honking, they will knock or bang on your windows, knock your side mirrors and whiz away without a show of hand to say sorry and you will get abused too. Besides, these motorcyclists will be coming at top speed and many have fitted their motorcycles with car horns and will honk at you with blaring sounds. It is near impossible to change lanes because motorcycles will be whizzing past you on both sides. 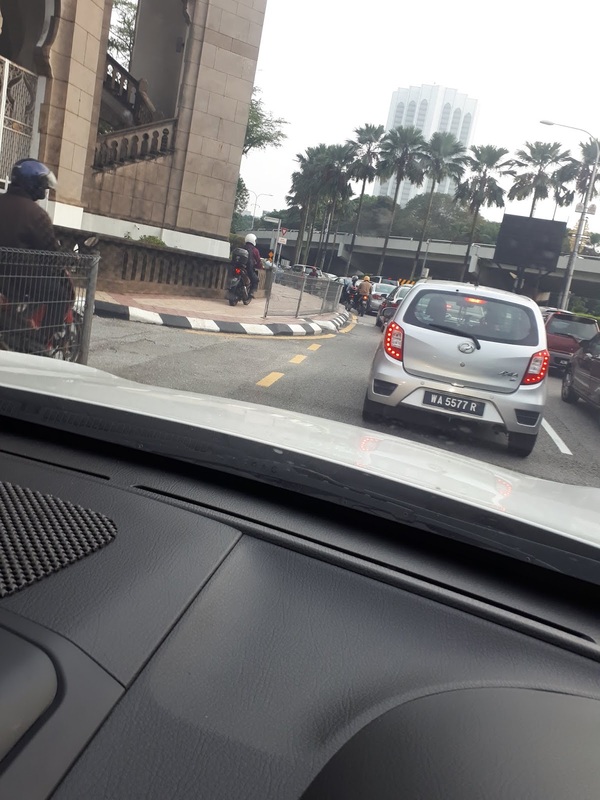 Motorcyclists now not only use all lanes but also use pedestrian paths. And if anyone of them gets knocked down while trying to get past you, it will be disaster as all the other motorcyclists will gang up together to accuse the driver of the car, bus or lorry, to be in the wrong. You can consider yourself lucky if you do not get beaten up. Disaster is indeed waiting to happen daily because of the menace caused by the motorcyclists. Before worst things happen on the roads of Malaysia, the authorities had better address the situation. 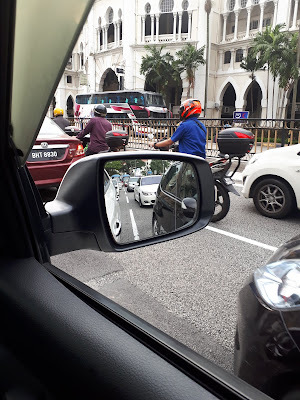 Having special motorcycle lanes alone is not enough because still do not use it and ride on highways. We need constant patrolling by the police or JPJ officers to ensure that Malaysian roads are safe for car users. 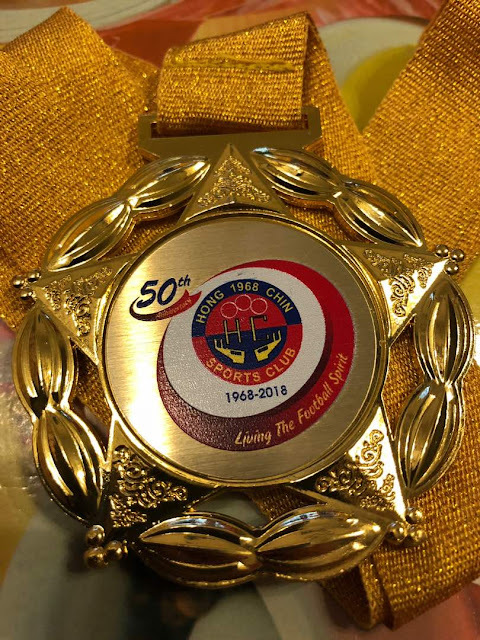 Hong Chin Football Club once the household name and pride of Selangor and Malaysian football in the 60s, 70s and early 80s – is celebrating its 50th anniversary in a big way this year. at the Oriental Pearl Restaurant at Bukit Jalil Golf & Country Club on Saturday. 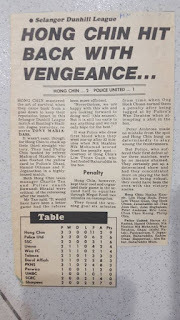 Hong Chin was a unique football club because it was a community football based club, run by passionate and volunteers, who had to source for funds and most of the time contributed themselves. The 50th anniversary organising committee secretary Michael Yei said 150 persons, including famous veterans and football personalities who made a name for themselves in the sport with Hong Chin FC, have confirmed their attendance for the dinner. 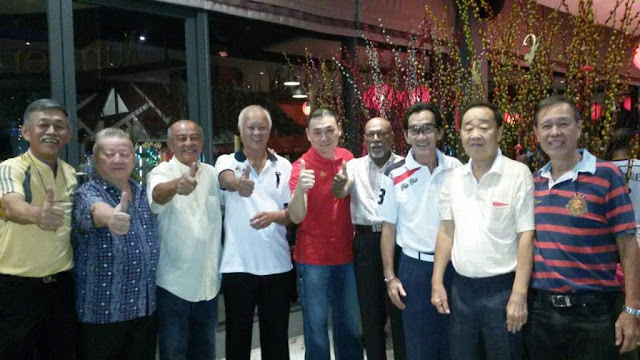 Among them include Datuk Santokh Singh, Datuk Dina Rizal, Yip Chee Keong, Abdullah Ali, John Engketesu, Peter Ambrose, Reduan Abdullah and many others. Among the notable players who have come through Hong Chin include the likes of Lai Kok Kim, Tan Kim Meng, Khalid Ali, Reduan, Lim Hong Hock, K. Gunasegeran, Lim Then Guan, Engketesu, Peter Ambrose, Chan Chee Mun, Abdullah Ali, Yip Chee Keong, R. Subramaniam, Peter Rajah, Reduan Yunus and late Chow Chee Keong and Ong Yu Tiang. Many of them turned out for Selangor and the national team. Last Saturday a Futsal tournament was organised at NPNG Sports Centre, as part of their anniversary celebration. ​4​0 veterans teams compete and another 15 veterans who came to support and cheer us on. The youngest player was 46 years old and the oldest was 76 years. For everyone's efforts and determination .....EVERYONE HAD TO BE A WINNER .....winner's gold medal was awarded to all - be it players or supporters. 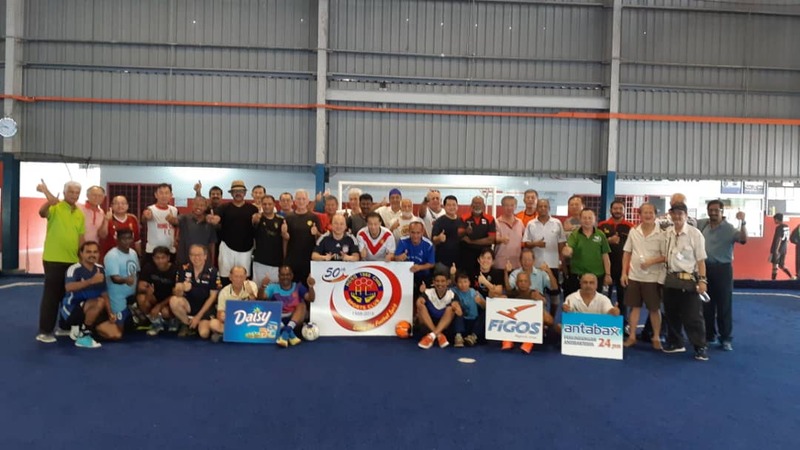 “This year’s celebration event is the biggest to-date, although Hong Chin FC has had its annual gathering to come together to touch base, renew friendships and comradeship,” said Michael. 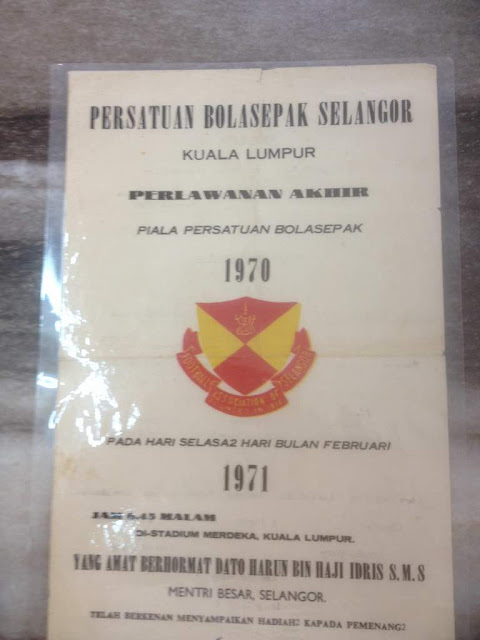 Hong Chin FC was officially registered in 1968 when funds were acquired to compete in the FA of Selangor League, although it was founded much earlier as a social club for the community of Brickfields. The club was formed to provide budding youngsters of the area a chance to become good footballers by harnessing their talent. Hong Chin, which means ‘ever onwards’ in Chinese, was started by the late Charlie Tan and a group of friends from Scott Road, Brickfields (now known as Jalan Tun Sambanthan). Charlie and his friends even rented a flat for their clubhouse (26A, Jalan Padang Belia – formerly Jalan Kandang Kerbau off Brickfields) facing the former Railway Recreation Club (RRC) ground (ear marked and sealed for a mega office complex 18 years ago but still remains sealed and no project upcoming) which was their home ground. Hong Chin who started off as a small club, made giant leaps to become one of the feared teams not only in the Selangor League but also at the national club level competition (FAM Cup). They won honours at the Selangor Dunhill League, invitational tournaments at the FAM Cup. Yei recalled his association with Hong Chin and football those days: “I grew up in the Scott Road/Jalan Kandang Kerbau (now Jln Tun Sambanthan) vicinity. My early days of playing football was on the Railway Recreation Club (RRC) field, the YMCA Field and the Jalan Chan Ah Thong Field. These were the three famous football venues in the Brickfields area. During those days, crowds used to gather around these fields practically every evening to watch football games under the auspices of the Football Association of Selangor (FAS). 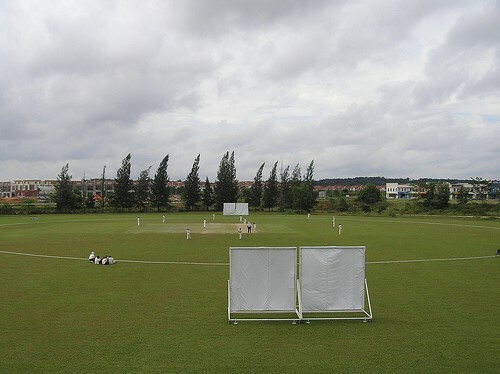 Other famous fields and associated with clubs include the Pudu field which was used by Selangor Recreation Chinese Club (SCRC), Selangor Indians Association (SIA) using the Kampong Attap ground, UMNO and Sultan Sulaiman Club at Sultan Sulaiman Club Kampong Baru ground, Railway Recreation Club at the Ipoh Road and Sentul Pasar ground, Tamilian Physical Culture Association (TPCA) using Stadium at Kampung Baru, JKR using the Cheras ground and Royal Sealangor Club using the current Dataran ground to name a few fields. Charlie was largely instrumental for opening Hong Chin to receive players from other races. Hong Chin slowly but surely saw more and more Indian and Malay players. Then there was the period when we had an influx of players from Victoria Institution led by our able captain, Tan Kim Chuan and others like Indran, Dinabandu (Datuk Dina Rizal now), Michael Yap and Yap Kian Fui. Hong Chin over the years from their humble beginnings at the Brickfields Railway Recreation Club (RRC) ground, went on to play their Premier Dunhill League matches at the Merdeka Stadium, TPCA, Kajang Stadium and Klang Stadium and then FAM Cup at State Stadium. “We would not have had a history if not for Charlie in particular and his friends. All of us owe much to him. Infact if you mention Hong Chin, you must mention Charlie, and if you talk about Charlie, you have to talk about Hong Chin,” said organising chairman of the anniversary celebrations Tan Kim Chuan. The loss of Charlie in 1993 due to illness, saw the club started facing one problem after the other from losing their training ground, financial woes and players choosing to play for more illustrious and richer clubs and playing for their employers. 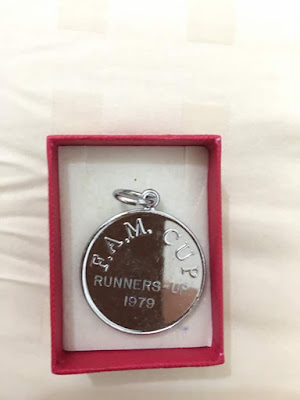 While Paul Tan (Charlie’s brother) took helm of the club after the demise of Charlie tried to keep the club afloat, it was difficult times as their only private football club then in existence. Hong Chin at one time even nearly had to vacate their club house due to non-payment of rental but timely intervention from one of their former players – Gopi Vellachan - and a few long-time supporters managed to solve the problem. 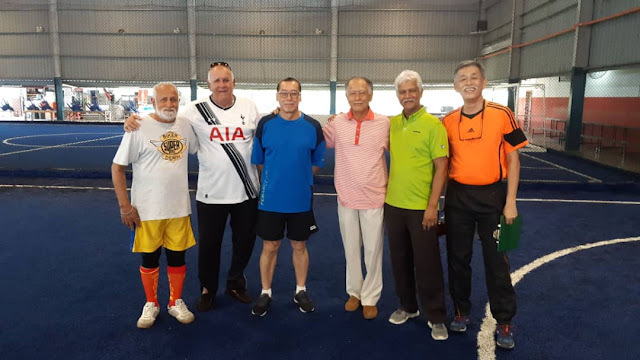 While the old-timers are fighting hard to keep the legacy of Hong Chin alive with a veteran team and their annual gathering, the club now does not have a clubhouse. 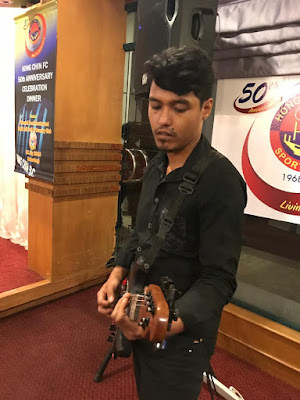 But the name ‘Hong Chin’ is still kept alive by team manager Vijiyan Veloo who manages the team and is trained by N. Kananpathy at Taman Megah in Petaling Jaya three times a week and play in the Selangor Division One league. 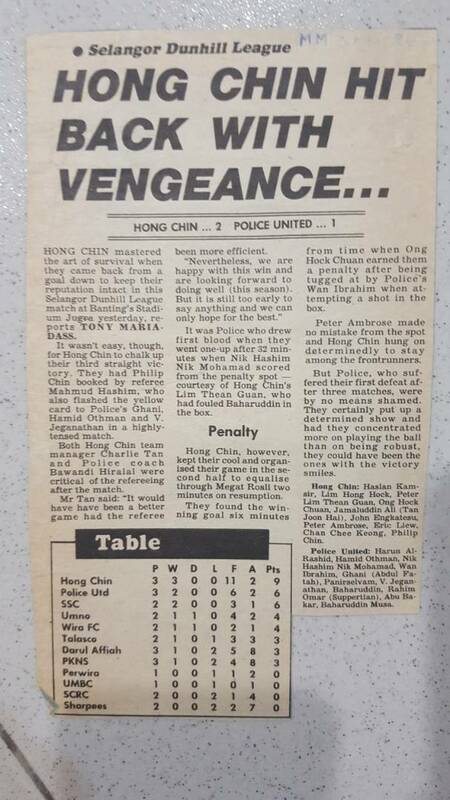 They may not have top players in the team, but the legacy and true to its name "Hong Chin (Ever Onwards) it is still alive after 50 years! FORMER national player and coach Chow Kwai Lam passed away at Ampang Puteri Hospital today at 11am. He would have turned 76 on Aug 26. 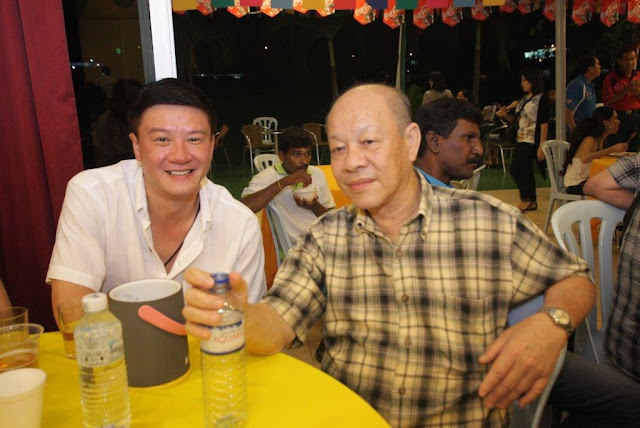 As a tribute to Kwai Lam who was close to me having known him since the late 70s, I post this article I wrote on him four years ago as tribute to him. I last spoke to him last month when he called to wish me 'happy birthday'. I was supposed to have visited him and had planned with a few friends to do so this week. Sad that it did not materialise. You will be dearly missed Chow Kwai! A dark episode at the tail end of Chow Kwai Lam’s illustrious career as a player and coach has not made him any lesser man than he richly deserves. Kwai Lam, who turns 72 on Aug 26, (would have turned 76 next month) has always been known as a par excellence midfielder and a firebrand coach, who attained many notable results. In 2007, Kwai Lam was fined S$50,000 (RM114,000) by the District Court in Singapore in default four months' jail for attempted bribery involving a Singapore League (S-League) match two years earlier. Kwai Lam paid the fine. He was charged with corruptly offering a sum of S$200 (RM455) to S$300 (RM684) and a further unspecified amount of cash to Zulkifli Zainolabidin who was the first choice goalkeeper of the Paya Lebar Punggol club, where he was coaching. “It was indeed an episode which came about through sheer negligence,” said Kwai Lam recalling the incident. “It was a clear case of misunderstanding where I was testing the player, but my fault was that I had not reported about it to anyone. “I had just asked the player if he would ‘sell’ a game for S$200, as I was doing my own investigations. The player said no, I left the matter as it was. “But after I had left the club, there was some investigations and this player had made a report and I was hauled in. “Yes, I was charged, but I stand innocent and my conscience is clear. “I did not make an appeal on the advice of my lawyer and besides I had already spent RM200,000 for legal fees. “Singapore was bent to make some examples that they were doing everything possible to curb match-fixing and I became a victim. “Although sad over the whole episode, I hold no grudges against anyone. Kwai Lam said the episode was behind him. “I still can travel freely in and out of Singapore and nothing has changed. “I have always strived for the best in what I do as a player and coach and have many memorable moments. “As a player, I used to score many goals and won many tournaments. Kwai Lam has the credit of having won the Malaysia Cup medal thrice with Selangor as a player and six times (thrice with Selangor and thrice with Kuala Lumpur) as a coach. “I think that record is going to be a difficult feat for any coach to beat,” said Kwai Lam proudly. 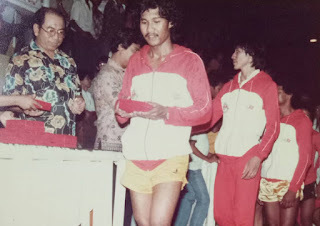 Kwai Lam hails from Negri Sembilan and played for the state team from 1961 to 1965 and was a member of the national youth team which competed in the Asian youth championship in 1961 and 1962. 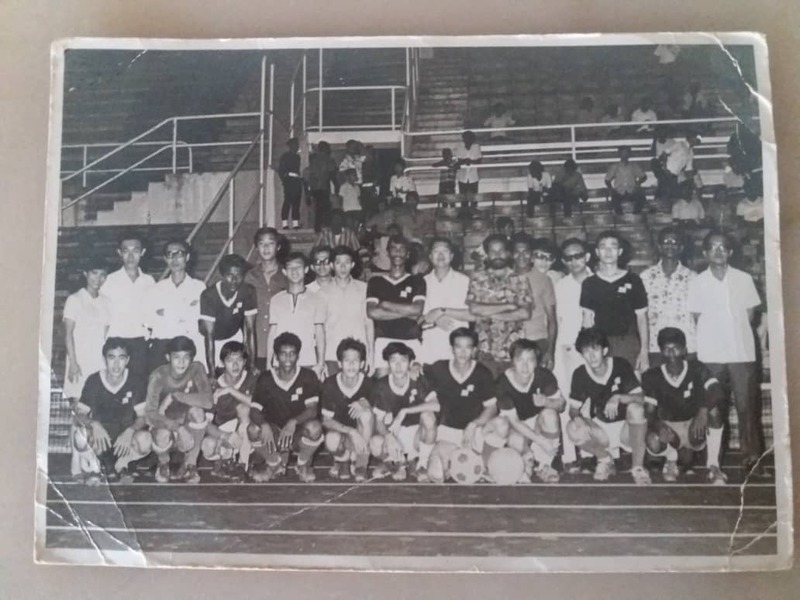 His early coach was none other than Datuk Peter Velappan who coached the Negri Sembilan combined schools team. Kwai Lam made his debut with the national team in 1965 when he played against England’s Southampton FC and went on to don national colours till 1971. One of his proudest moment as a player was when he was selected for the Asian All-Star team in 1968 to play against Arsenal. Kwai Lam also has a proud runners-up medal from the 1st Asian Champion Club championship in 1967 losing to Israel. 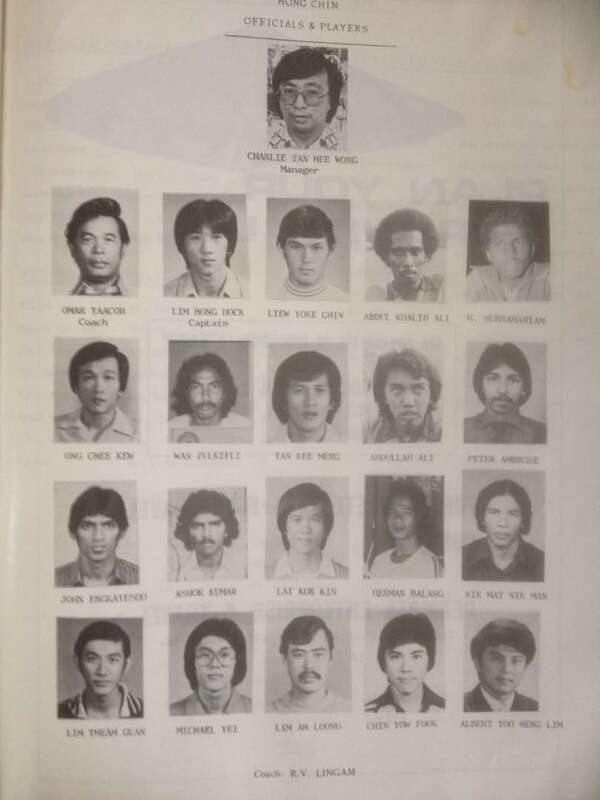 Kwai Lam owes his equally successful coaching career to FA of Malaysia for selecting him, Abdul Rahman Ibrahim and Mohamad Bakar to attend a Diploma Grade a course from the German Football Association in Hennef in1978 after having attained his advanced and A licence from FAM the year earlier. “In the coaching course in Heneff, I was the top student and it was really inspirational in shaping my coaching career. I also have to thank former national coach Karl Weigang for his assistance,” said Kwai Lam who was the German coach’ understudy from 1976 to 1977. Kwai Lam also had the opportunity learn from the best when he was on attachment with Club Borussia Monchenhlabach in Germany in 1978 under Udo Lattek and Jupp Hencyekes for a month. Kwai Lam as a coach was known for firebrand attitude. “I was just a strict and disciplined coach. I stand no nonsense and treat everyone equally. There is no favourites in my team. Even if he was the top player, but shirks, he pays the price,” said Kwai Lam. Kwai Lam paid tribute to former KLFA Tan Sri Elyas Omar who transformed the KL team from minnows to champions over a short period in the 80s. “He was a visionary man and I am happy to have worked under him and tasted the success which he designed,” said Kwai Lam. Kwai Lam said he is sad to see KL football’s state today and only can hope that it will recover to taste its success of the 80s. Kwai Lam suffered a stroke two years ago, where his left side was affected. 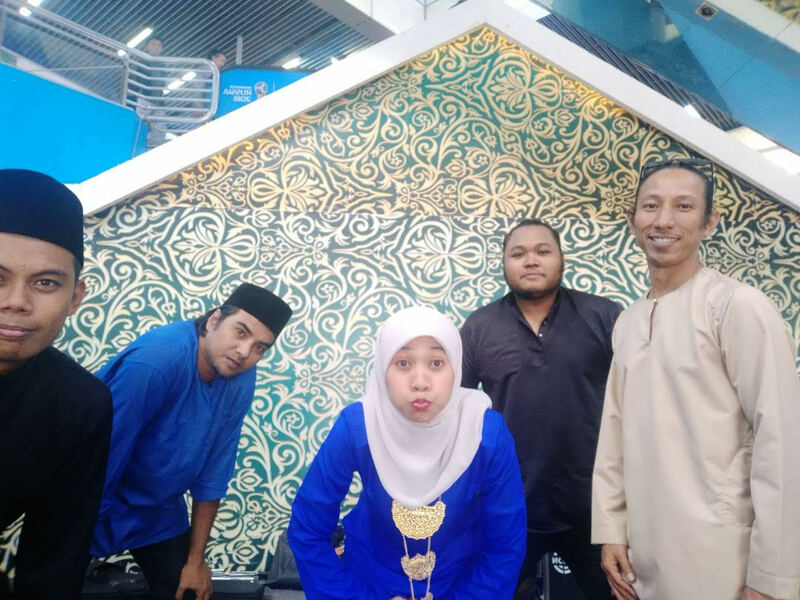 But being the go-getter he is, he has made remarkable recovery and keeps himself fit by going to the gym regimentally without fail six times a week at the Selangor Chinese Recreation Club (SCRC). “I may not actively involved in football these days, but it is close to my heart and always keep in touch,” said Kwai Lam who drives everywhere he goes. Other teams coached in M-League: Police and Sarawak. 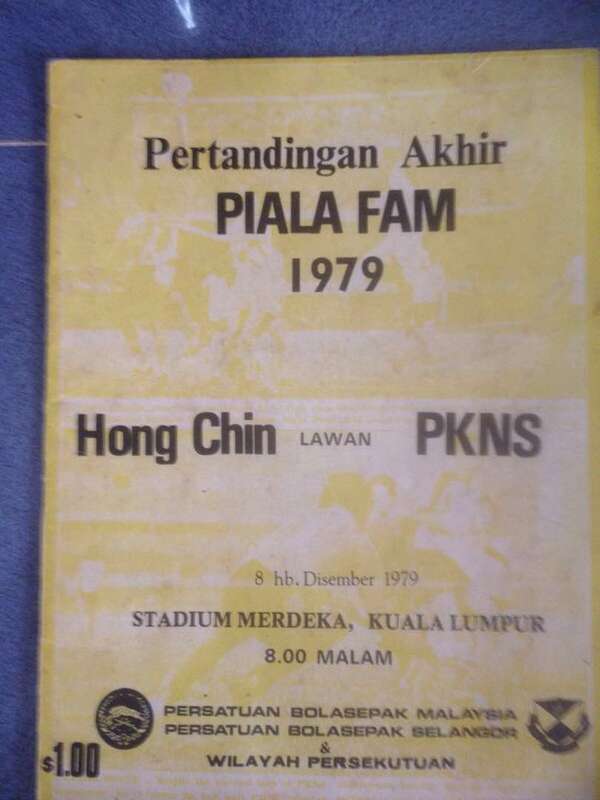 Handled the national team in 1978 to the King’s Cup victory in Thailand and third place in the Merdeka tournament. Coached in Singapore in 2002 - Tampines Rover FC and Paya Lebar Punggol FC in 2005. FAM coaching instructor from 1978-1984.